It’s High Noon. 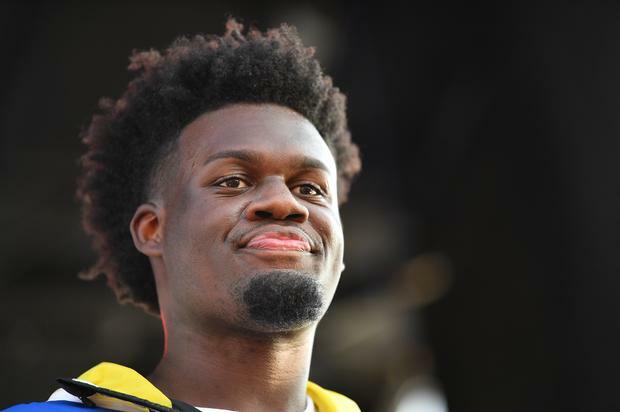 Ugly God recently took to Twitter to inform Lil Nas X that, in essence, this town ain’t big enough for the both of em’. Though it has been a minute since we’ve heard from Ugly God, who once held the keys to the fabled Meme Kingdom, it would appear he’s been nursing a grudge of late. Said grudge is aimed squarely at Lil Nas X, who recently set records with his Country-trap banger “Old Town Road.” Meanwhile, Ugly God has been sitting in the saloon, imbibing on that dark elixir, getting himself good and worked up. The “I Beat My Meat” rapper found himself sending a few shots at Nas X in a since-deleted Tweet.